아른헴 - 아른헴에 위치한 호스텔. 아른헴의 지도, 아른헴에 위치한 호스텔에 대한 사진 및 리뷰. 아른헴에 호스텔, 저렴한 호텔, 아파트, 게스트 하우스, B & B를 찾고 계십니까? 아른헴의 모든 최고의 가격은 kr.Dorms.com안에 있습니다. 매달 수천명의 여행자들이 이곳에서 예약을 진행하시듯이 고객님도 아른헴의 저렴한 가격에의 호스텔을 안전하게 예약하실 수 있습니다. 웹사이트에 고객님이 원하시는 핫 트렌디 시내 주변의 호스텔을 쉽게 찾을 수 있으며, 대학가, 기차역, 공항, 모든 아른헴의 관광명소에서 가까운 호스텔을 찾을 수 있습니다. Located at the edge of the national park De Hoge Veluwe, Stayokay Arnhem is still a stone’s throw from the city of Arnhem. This makes it the ideal base of operations for a wide range of activities. Clean, reasonably priced, affordable beers in the bar and various selection for breakfast. Will stay again. Situated in a peaceful residential district. Not too close to town however its a perfect start to go cycling and you can also rent bikes from the hostel. During evenings the children can play board games and read books. 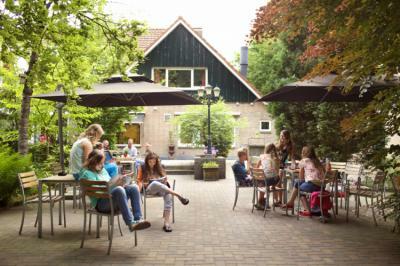 Its a very well run hostel, kept tidy by attentive well-trained staff.